Customer Satisfaction research is a path to building customer loyalty in both consumer and B2B business markets. An actionable and action oriented approach, our customer satisfaction research techniques help build customer loyalty, market share and competitive advantage. Multivariate Solution’s senior professionals offer experience and dedication in providing high quality, reliable, useful customer satisfaction research to businesses, small and large. Employees are critical to the success of your business. Their opinions are necessary to ensure that your organization is functioning as you would like it to, and often can help you to improve profits. Research shows that satisfied, motivated employees facilitate higher customer satisfaction and, in turn, positively influence organizational performance. 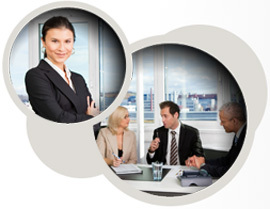 Multivariate Solutions is a leader in Employee Relations research. Quadrant Analysis, the classic Importance vs. Performance quadrant. Importance Analysis Visuals, a graphic display of what customers say is important vs. what really drives satisfaction within products, and how they interplay in the branding mix. Customer Satisfaction Measures is a presentation that showcases Multivariate Solutions’s various Customer Satisfaction Techniques. Measured Management Employee Satisfaction exhibits a regression model of how to predict employee retention in the high turnover restaurant management market.